Most people might currently know Rikard Sjöblom as multi-instrumentalist with Big Big Train, but he was also the driving force behind the wonderful Beardfish for 15 years before the band unfortunately came to an end in 2016. 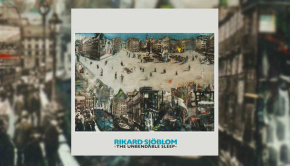 This has not hindered Rikard’s creativity, having released last year’s excellent solo album The Unbendable Sleep and contributed some writing credits to Big Big Train’s recent Grimspound, he now gives us a further album from his Gungfly project, its name, as recounted by Rikard in the press release, coming from the Swedish word for ‘unsecure ground’. He goes on to say, “Gungfly was born out of necessity; songs came to life whenever there was downtime with Beardfish or if a song didn’t quite fit within Beardfish’s frame of styles. I basically started recording songs, mainly pop-orientated material, but being the type of songwriter and musician I am some prog slipped through under the radar as well”. So it is a safe assumption to say that there is a connection with Beardfish on some of the material here – not a bad thing I must say, as I for one was disappointed at the demise of this inventive band. The band’s first album, Please Be Quiet, was released in 2009, followed in 2011 by Lamentations. The backbone of Gungfly are Rikard’s long time friends Petter and Rasmus Diamant, on drums and bass respectively, along with keyboard players Sverker Magnusson and Martin Borgh, supported on guitar by David Zackrisson from Beardfish. The one thing that is immediately clear listening to this album is that they all appear to be enjoying themselves, giving top class performances. What shines through here is that Rikard’s writing is adventurous and varied with lots of musical ideas coming through. 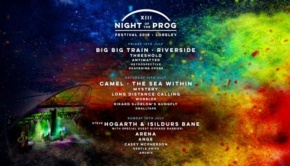 A musical pick and mix, if you like, taking pop/rock sensibilities with prog overtones to expand the musical palette. Inventive, clever and not afraid to mix up his influences, but all the time easily recognisable as Rikard. The opening track, Of The Orb, begins with spoken words before an acoustic start to the music, which evolves and changes as things progress. Rikard delivers another of those catchy lyric lines that just stick in your head; “Stay with me, Care for me, I will be yours”. There are several tracks here which have an, understandable, Beardfish feel and would not be out of place on one of their albums. 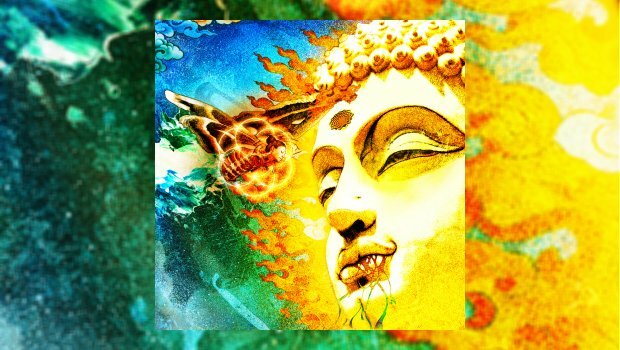 Indeed, On Her Journey To The Sun, the quirky rhythms of My Hero and Polymixia with its jazzy feel, reminiscent of some of Frank Zappa’s jazz styles, are bright and cheerful, fitting well with Beardfish’s style, although it is always clear that this is Gungfly as they stamp their own identity on these songs. Elsewhere we get the almost lounge jazz feel of Keith (The Son Of Sun) with its lovely slow groove and some great guitar. Over My Eyes is a beautiful song with piano and voice accompanied by the violin. The longest track, The River of Sadness, effortlessly moves between tempos through its 12 minutes, never appearing to lag or cause you to lose interest as it segues into the final spoken words of All A Dream, with its atmospheric dreamlike keyboards. 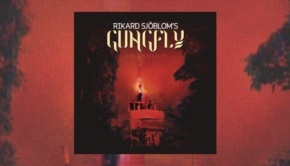 Released as a Special Edition 2CD digipack with a Best of Gungfly bonus disc, 180g Gatefold 2LP Vinyl edition (including the album on CD) and as a digital download, this is another excellent release from Rikard, ably supported by the other band members. All of the songs are well structured with great melodies, vibrant with varied instrumental choices to enhance the effect of the music. On Her Journey To The Sun is further proof, if any were needed, that Rikard is a songwriter of note and one to watch.